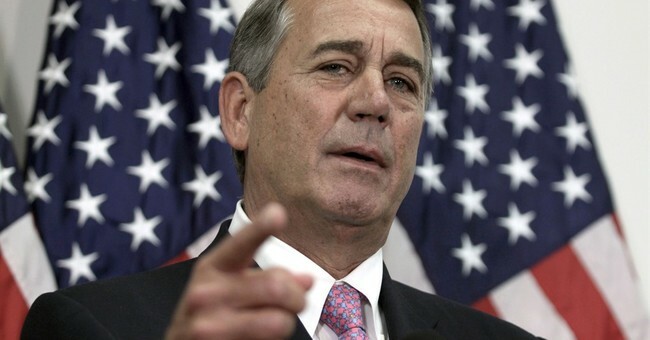 Former House Speaker John Boehner has stayed pretty quiet since leaving Capitol Hill. But, in an interview with Fox News's Brit Hume Wednesday night, he weighed in on the unusual election cycle and most recent campaign controversy. Trump's 2005 remarks about women were indefensible, Boehner said, but he is still voting for the GOP nominee because there is too much in jeopardy on the Supreme Court. "The election is pretty simple...[it's about] who's going to appoint the next Supreme Court nominees... two, three, maybe four." "I believe that Donald Trump's view of who these judges should be is much closer to where I am than...Hillary Clinton." While Boehner is nervous about the judicial branch, he seemed optimistic that Republicans would keep hold of the House of Representatives. He acknowledged that most Americans are disenchanted with both of the choices presented by the major political parties, but they will show up at the polls because they know the importance not just of the White House, but of Congress. By the way, asked if he wants his job back in the wake of Paul Ryan's very public feud with Trump, Boehner said, "No thanks."